10 points, 170 lbs, Unknown Score, shot with a .308. This was my first opening day deer. This was also my first buck with the rifle. 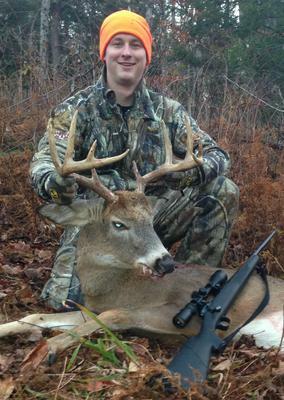 My father just uploaded a picture of a beautiful 10 point harvested a few weeks ago up in the Adirondacks. You guys just put it up on your facebook page. The Atutis clan is on a roll this year!